Remember how we created that fun interactive Peppa Pig workout? Well, we’ve got another for you today. And this one isn’t just for 10-minute episodes … it’s for a whole movie. Moana! I mean, what kid isn’t obsessed with this movie?! It’s one of my daughter’s faves, and quite honestly, I love it, too. It’s got a great message, great music (thank you, Lin-Manuel Miranda) and it’s fun. And now, when you’re watching it at home for the hundredth time, you can get a workout in! 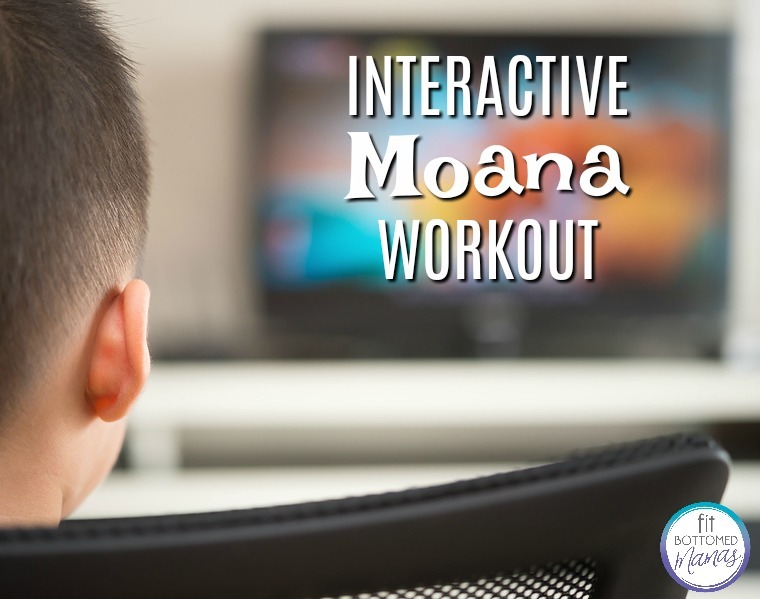 Whether you watch the whole movie or just one part at a time, the below interactive Moana workout will get your full-body moving. There’s no equipment needed, but be sure to warm up with some marching or jogging in place during the intro scene and take time to do some gentle stretching when you’re done. Oh, and feel free to include the kids! 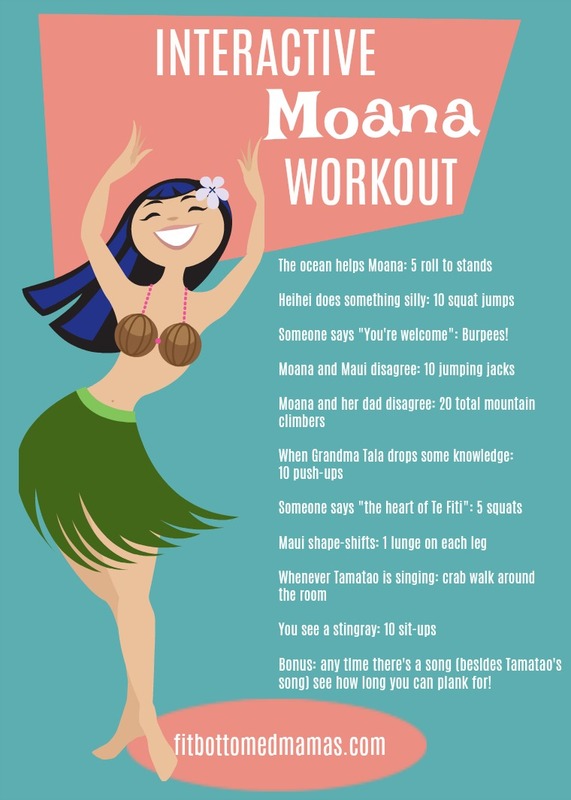 They’ll love joining in — especially for that crab walk and for when Maui sings “You’re Welcome.” I mean, holy burpees (kind of an easier version of this)!